HORRY COUNTY, SC (WMBF) - Horry County law enforcement are searching for two suspects wanted in separate assault cases. 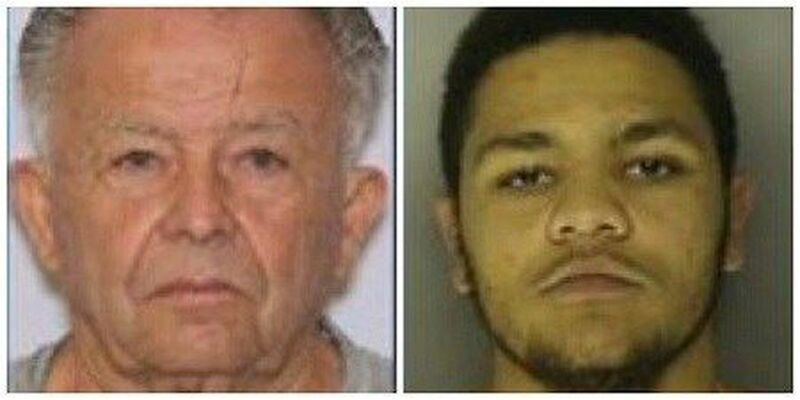 Billy D. Cannon, 78, is wanted for second-degree assault and battery. The Horry County police report states that on March 16, 2017, the suspect reportedly knocked on the victims' back door. When she and the second victim answered, he allegedly started an argument about who the second victim was, pulled out a pocket knife and started stabbing at them both. The first victim was allegedly cut on the arm. Cannon's last known address is on John Cannon Road in Aynor. Meanwhile, 22-year-old Lewis Hickman is wanted for third-degree assault and battery, and pointing and presenting firearms at a person. The Horry County police report states that on March 9, 2017, Hickman was yelling at the victim in his home. The argument escalated and Hickman allegedly punched the victim several times in his face and busted out the windows of the victim's vehicle. Hickman's last known address is on Old Railroad Road in Conway.